Only 2 Weeks Left for Early Bird Registration! The time for savings is almost up! 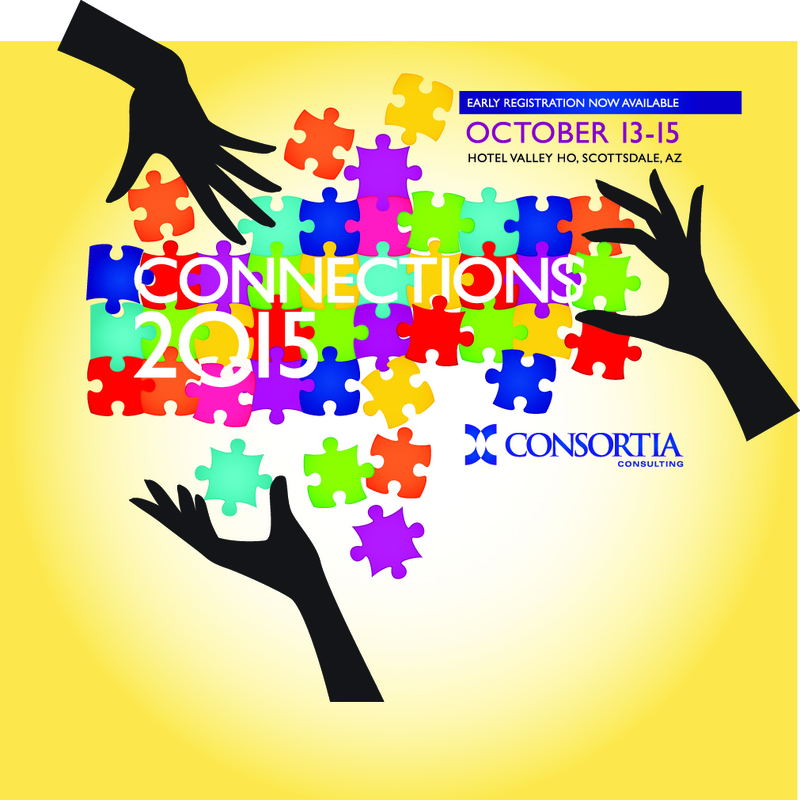 Consortia Consulting would like to invite you to attend our one-of-a-kind conference, Connections 2015, to be held Tuesday, October 13th, through Thursday, October 15th, at the Hotel Valley Ho in Scottsdale, Arizona. Register by May 29th to receive Early Bird pricing. At the conference, women managers and leaders from throughout the country will come together for the purpose of sharing common issues and problems, learning from each other, and leaving the conference with a network of women from whom to draw support in their ongoing work and careers. Please complete the Early Bird Registration form before May 29th to take advantage of discount pricing. We look forward to seeing you in Phoenix!